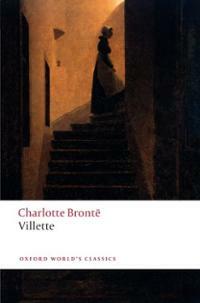 We’re well into the term now, and thus well into our first readings, which means that in Mystery and Detective Fiction we’re about half way through The Moonstone, while in 19th-Century Fiction we have just wrapped up our class discussions of Villette. Both novels are virtuosic displays of their authors’ skill at voices. Both Collins and Brontë create characters who are not altogether to be trusted, but Collins’s characters give themselves away over and over, usually in spite of themselves, while Lucy is a much more controlling — sly, elusive — narrator. Still, I’m never sure that she should be approached as an unreliable narrator, strictly speaking: her reticences are so selective, and her frankness, at times, so heartbreaking. In this retirement — a Patmos amid the howling ocean of popery that surrounds us — a letter from England has reached me at last. I find my insignificant existence suddenly remembered by Mr. Franklin Blake. My wealthy relative — would that I could add my spiritually-wealthy relative! — writes, without even an attempt at disguising that he wants something of me. The whim has seized him to stir up the deplorable scandal of the Moonstone: and I am to help him by writing the account of what I myself witnessed while visiting at Aunt Verinder’s house in London. Pecuniary remuneration is offered to me — with the want of feeling peculiar to the rich. I am to re-open wounds that Time has barely closed; I am to recall the most intensely painful remembrances — and this done, I am to feel myself compensated by a new laceration, in the shape of Mr. Blake’s cheque. My nature is weak. It cost me a hard struggle, before Christian humility conquered sinful pride, and self-denial accepted the cheque. He beamed on us with his beautiful smile; he held out a hand to my aunt, and a hand to me. I was too deeply affected by his noble conduct to speak. I closed my eyes; I put his hand, in a kind of spiritual self-forgetfulness, to my lips. He murmured a soft remonstrance. Oh the ecstasy, the pure, unearthly ecstasy of that moment! I sat — I hardly know on what — quite lost in my own exalted feelings. When I opened my eyes again, it was like descending from heaven to earth. There was nobody but my aunt in the room. He had gone. Really, is it any wonder that I burst out occasionally with exclamations like “isn’t she fun? !” Her passive-aggressive martyrdom in the first excerpt sets us up perfectly to discuss just what kind of a Christian she is, as well as the larger conflict in the novel between spiritual and mercenary motives (neatly epitomized, of course, by the different ways the moonstone itself is viewed and valued). And the second excerpt — oh, the second excerpt! Those deftly placed but utterly unconvincing words “spiritual” and “unearthly” to describe her pleasure! Those “exalted” feelings that carry her quite away from her physical self! Yeah, sure they do. Miss Clack is a comic ticket to much less funny topics: her invasive distribution of edifying pamphlets, for instance, leads us straight to forms of missionary or colonizing work that the novel’s Prologue has already made sure we see as bloody and oppressive. But it was nice of Collins to let us make these serious connections while still having a good laugh. The Mothers’-Small-Clothes-Conversion Society! It’s too delightful. On quitting Bretton, which I did a few weeks after Paulina’s departure — little thinking then I was never again to visit it; never more to tread its calm old streets — I betook myself home, having been absent six months. It will be conjectured that I was of course glad to return to the bosom of my kindred. Well! the amiable conjecture does no harm, and may therefore be safely left uncontradicted. Far from saying nay, indeed, I will permit the reader to picture me, for the next eight years, as a bark slumbering through halcyon weather, in a harbour still as glass — the steersman stretched on the little deck, his face up to heaven, his eyes closed: buried, if you will, in a long prayer. A great many women and girls are supposed to pass their lives something in that fashion; why not I with the rest? Picture me then idle, basking, plump, and happy, stretched on a cushioned deck, warmed with constant sunshine, rocked by breezes indolently soft. However, it cannot be concealed that, in that case, I must somehow have fallen overboard, or that there must have been wreck at last. I too well remember a time — a long time — of cold, of danger, of contention. To this hour, when I have the nightmare, it repeats the rush and saltness of briny waves in my throat, and their icy pressure on my lungs. I even know there was a storm, and that not of one hour nor one day. For many days and nights neither sun nor stars appeared; we cast with our own hands the tackling out of the ship; a heavy tempest lay on us; all hope that we should be saved was taken away. In fine, the ship was lost, the crew perished. Oh Lucy, “permitting” us to imagine you peaceful and happy even as you ruthlessly deny us precisely that comfort. What good is an illusion, after all, if its artifice is so completely exposed? What good, too, is laying claim to a conventional life, such as that enjoyed by “a great many women and girls,” if you’re only going to throw convention overboard — and, arguably, not regret its loss? Is a life of happy indolence really preferable, after all, to a life of determination and purpose, however grimly experienced? But if to be “idle, basking, plump, and happy” is to be no better than the pretty spaniel to which she (in an uncharacteristically overt moment of snark) compares Paulina Mary, is the novel’s final shipwreck really a tragedy? Such a vexing question, and such a provoking novel. I’m almost sorry to leave it behind — almost, because I am not nearly as comfortable with it as I am with The Moonstone, and it has been a mental and practical challenge figuring out how to approach each class. Next up in this class is Great Expectations: I think I know my way around that one pretty well. Such great narrators. Landmark narrators. I agree, “unreliable” is the wrong word, but Lucy Snowe is such an incessantly ironic narrator that she becomes unreliable but only for the reader who thinks she is sincere. This is a good trick. Back in the Valve discussion days, there were readers who took her at face value. I could hardly believe it. I remember being told that Lucy, as narrator, was an old woman, because at one point she reports that her hair is white. When I worked out the chronology, I discovered that she (the narrator) was maybe 38. I don’t suppose that after all this time you recall the key data points in that chronology? I’ll have to go back though the Valve comments. For I have actually never questioned that particular statement of hers myself and I didn’t pick up on anything that challenged it this reread. Mind you, I wasn’t looking, and that’s just how Lucy catches us out. Of course, even the most unreliable narrator says trustworthy things, or else the trope collapses (or becomes all versions of The Turn of the Screw). Also, 38 is not impossibly young for white hair … But it does seem a stretch, if she is not in fact elderly. I do recall! The key fact is from the trip to the theater, when we Lucy see’s the king’s five year old son, which gives a real date on which to peg the story. Then you can follow internal references to the end, where nothing in the text is violated by assuming that Snowe’s memoir shares the publication date of Brontë’s novel. For example, Snowe’s correspondence with Ginevra slots right into this timetable (plus it explains the joke about Ginevra’s bad handwriting). I had wondered if the stuff about the king was too obscure, but it turns out he was an English celebrity – he was in the line of succession, and would have been King of England if Victoria had died childless. Or such is my understanding. It is certainly possible that in the imaginary world of the novel that the memoir is actually written in the far future, and there is no Belgium but only a Turkey-yard, and that few or none of the facts of the novel correspond with our world. But if you assume that they do, the timeline is not much less clear than the one in Jane Eyre, where St. John Rivers simply spills it out over the course of a page. Villette made me do more work. I would guess that Lucy’s hair is going gray early. She did have a rough time there at the end of the book – or did she? Ah – very nice! I suppose it could be argued that being certain in this way about the timing means taking the identification of the royalty Lucy sees very literally — my edition says the King of Labassecour is “suggested” by King Leopold, and we don’t read M. Paul literally as M. Heger, despite the close proximity. And taking the novel’s publication date as the date of Lucy’s narration is reasonable but not an absolute given either. So, as usual with Villette, uncertainty rules depending on how you interpret what you’re given. Villette allows its readers amazing latitude in deciding on the text’s relation to what I will call our real world. All fiction does this, but Villette really puts the problem in the forefront, beginning with the title. Just one of many reasons it is such an unusual and fascinating novel. I love ‘The Moonstone’ so much. I taught it in the first Summer School we did alongside ‘The Suspicions of Mr Whicher’. It was fascinating to see the ways in which Collins had appropriated features of the real life case for his own purposes. Where the narrators are concerned I always marvel at the way in which I find myself loving the new voice even though I had been livid at leaving the company of the previous narrator only seconds earlier.